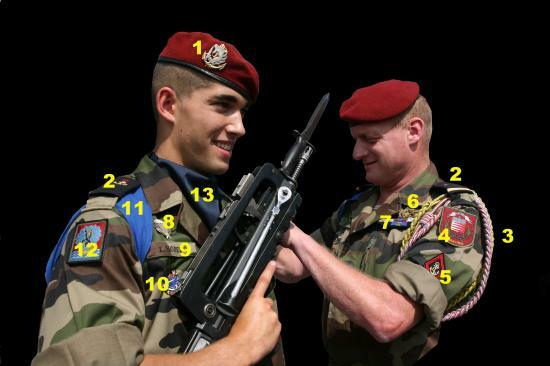 In this picture there are French soldiers wearing a red armband. I'm curious as to what it's called.http://www.defenceimagedatabase.mod.uk/fotoweb/Preview.fwx?position=6&archiveType=ImageFolder&sorting=ModifiedTimeAsc&search=french%20army&fileId=096F9B16531325BF2AA3431E60D7BC7EDBCC065CDE190622B020D12FD38A9F0881BD9CF98E18691A7B03FB8BDE3C58A9C054E8D8924329A6C054E8D8924329A6C66B8D2D52430D3E612B705DA0A729F867556C690D907C19684C9558B2333FFF4C8044494832E07DD732C34DA61753FDA5BE3968CDCFCA36D254F0CA474497ABDoes anyone know the proper term? I'm getting "Service Unavailable", but if I understand your question the object may be a "brassard", a.k.a. "armlet". jrichardn2 wrote: I'm getting "Service Unavailable", but if I understand your question the object may be a "brassard", a.k.a. "armlet". I don't believe that's what it is. I couldn't find any more pics, but here's a link to a 'rough sketch,' I did. The thinks I'm talking about are the red things. They're a cloth that is worn under the armpit, and under the epaulette. I've seen them worn on the left, right, and on both sides. Right click, select 'View' for a better view. OK! Success: #11 = Foulard de compagnie (company scarf). I was just at that site a few days ago because I found pictures of soldiers of the RPIMA wearing the scarf and being awarded a fourragere.